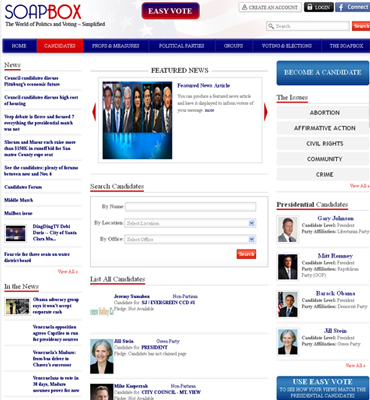 Soapbox is a website that simplifies the world of voting and politics in the US. 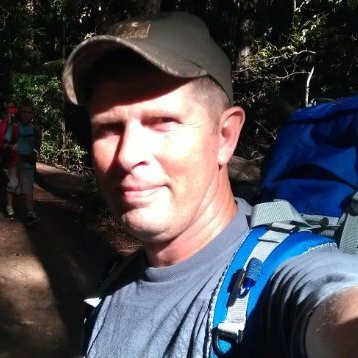 This website is creating a level playing field for the voting candidates who want to get their voice heard. On this website, visitors will get the chance to create a highly transparent government that builds the values that voters need today. 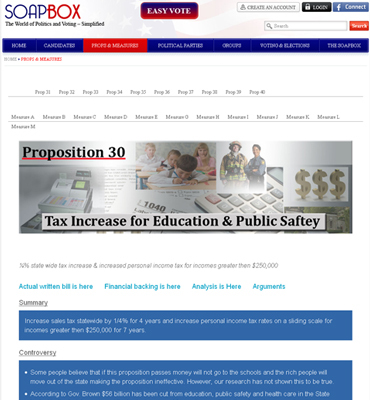 With the help of this website, voters will be able to make educated decisions that they can feel confident about. 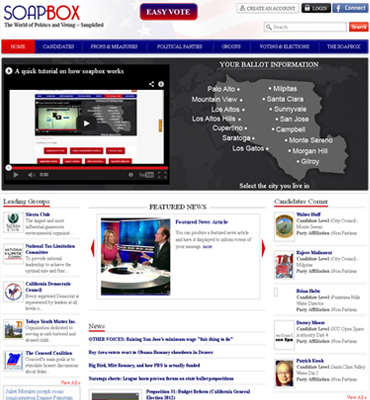 The client wanted a website that could simplify the way voting information is presented in front of the voters. This website was to be designed with the aim to make a huge amount of voting-specific information digestible. For this reason, the client brought our team at Flexsin on board. This team was supposed to develop a full-fledged voting module as well. Following were the challenges that we had to resolve for the client. The client got our dedicated team of project managers, account managers, HTML developers, senior designers, senior developers, business analysts, and testing analysts on board. This team worked on developing both front-end and backend modules of the website so that voting became simpler, quicker, more efficient, and more transparent than before. The website was built to cater to high user engagement and heavy traffic. Backend For managing the flow of a large volume of voting-specific information and catering to heavy traffic needs, the website needed robust backend architecture. That is what our team built for the client from scratch using CakePHP and MYSQL DB. Development Process Our development team followed an agile development process that was used with an intense discovery phase. The team worked closely with the client to make sure that the project was developed following a transparent working module. By following an agile development process, our team managed to deliver what client needed on time and on budget. The team worked tirelessly to refine the project and earned the client`s trust for any future engagements. Flexsin is very diligent, professional and reliable company. They delivered was beyond my expectatio.. The project's success was determined by how this website became successful among the US population. The client recorded heavy traffic when the site was launched. The information related to the users and candidatures was managed well. Our team implemented huge databases for making sure that the website data was managed as effectively as possible. Here are some benefits that the client experienced when the website went live.